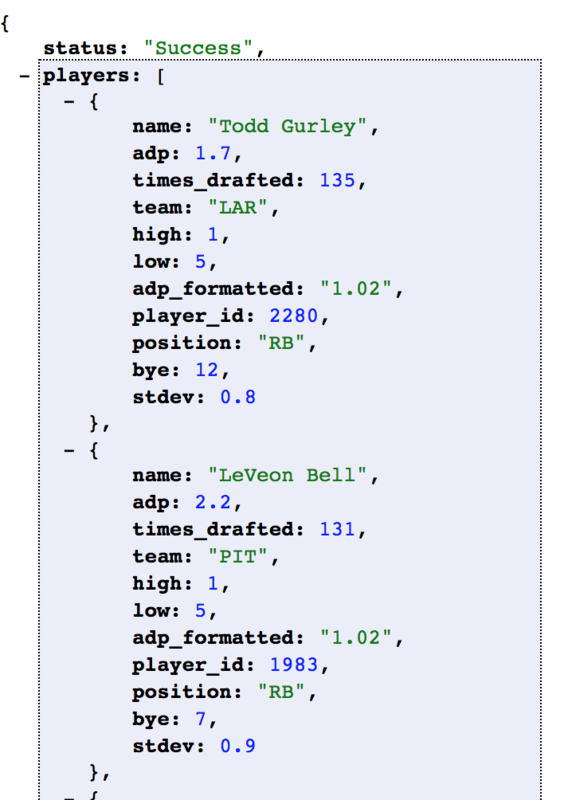 The ADP data is available via a REST API with a JSON-formatted response. Use of the ADP REST API is free for personal and commercial use. 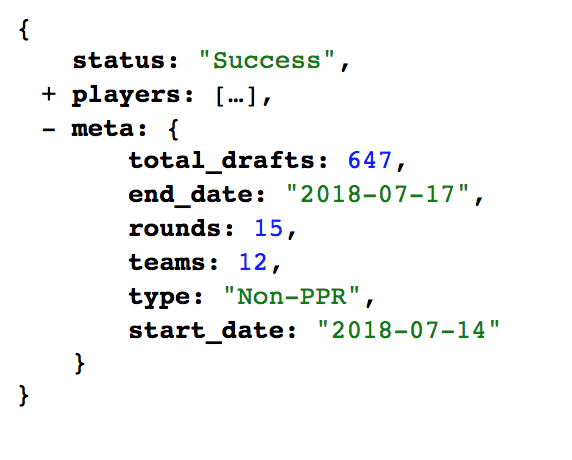 Fantasy Football Calculator requests that you provide attribution back to us in the form of a link or mention of some kind. Please do not call this API too frequently. The data only updates once per day.